11001001 STORE_FLAGS_ON_STACK The STORE_FLAGS_ON_STACK mnemonic is used to to save the contents of the FLAGS_OUTBUFFER Register onto the Stack. It is used during PUSHF operations (which uses internally the ALU) without changing the original content of the FLAGS Register. 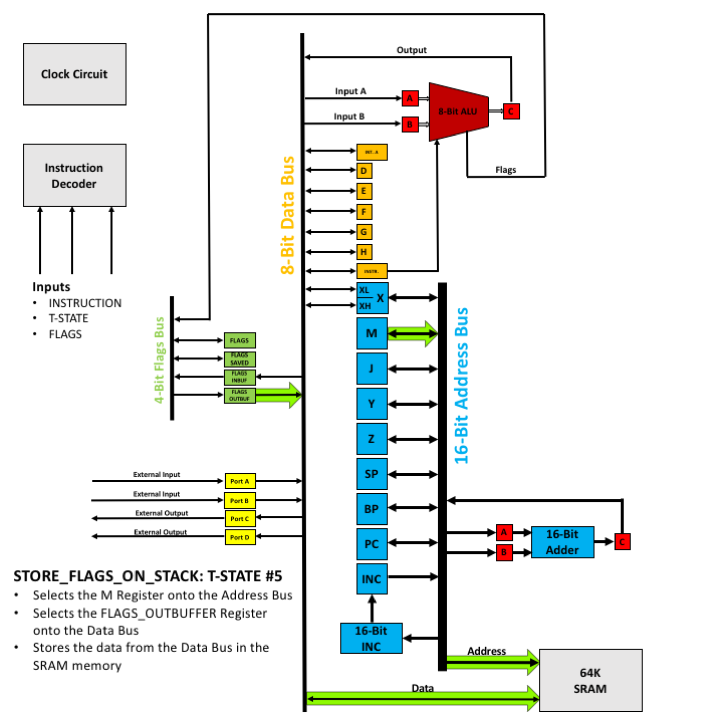 The following animation shows how the STORE_FLAGS_ON_STACK opcode is executed physically on the CPU.